This student-centred city in the County of Lincolnshire combines the traditional with the contemporary. Lincoln’s two university offerings complement this perfectly: with Bishop Grosseteste University and the University of Lincoln, developing from various educational institutions in the 1860s, to become innovative research and teaching establishments. Steeped in history, the medieval city boasts various tourist attractions, revealing the characteristic charm of Lincoln, from the Fosse Dyke Canal – believed to be the oldest working canal in the country – to Lincoln’s Magna Carta, and an assortment of traditional galleries. 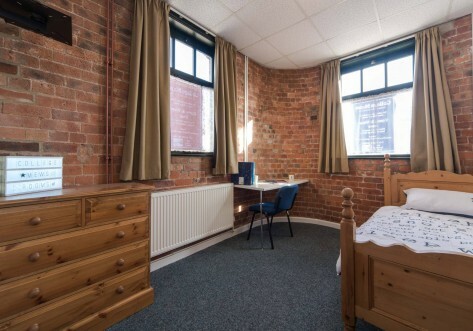 If it’s the contemporary that harbours your attraction to the city, however, Lincoln boasts a number of cinemas, boutique and high-street shopping facilities, eateries, bars and nightclubs to satisfy those student cravings. In fact, you will be spoilt for choice when it comes to eating in Lincoln. Bunty’s Tearoom is the most acclaimed eatery, particularly for a spot of afternoon tea, or should you fancy something a little more Mediterranean, try Ole Ole restaurant, famed for its wide selection of quality tapas. With various restaurants offering freshly made and home-cooked food, you can fuel up at an eatery of your choice before devouring Lincoln’s nightlife. The student nightlife is continuing to expand, from Lincoln University’s premier live venue ‘Engine Shed’, host to some of the biggest music artists and comedy acts, to Jazz bars and numerous pubs and clubs. Whether you fancy a dance, a laugh, or some live music, take the night off studying to see all Lincoln has to offer, after-dark. 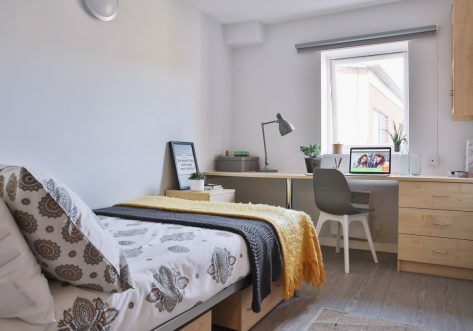 In a safe and welcoming environment, Lincoln’s student halls immerse you within the city to allow for easier access to all the popular amenities on offer, and to experience campus life in its entirety.